With last year’s colour forecast from Pantone bringing us the gorgeous rose quartz and serenity, the stage was set for happy, colourful pastels and what better place than in your child’s bedroom. In 2017, we can bet on gentle hues remaining on trend with colours such as dusty pink/terracotta, pale turquoise and muted olive. Pair these shades with pops of dark forest green, yellow/orange/gold and cerulean blues and your kids bedroom will be totally on trend. We all love the dazzle of jewel tones and there could even be fabulous swirls of wine red and emerald green to be enjoyed as your decor accents. Who knows, you might even get a visiting fairy or two! Besides, who said flowers had to be old fashioned :). You’ll find some flower wallpapers here. Metallics like brass, bronze and gold are still bringing sparkle to our lives. Combine them with soft pinks, greys and stone to bring out the shine in any kids bedroom. 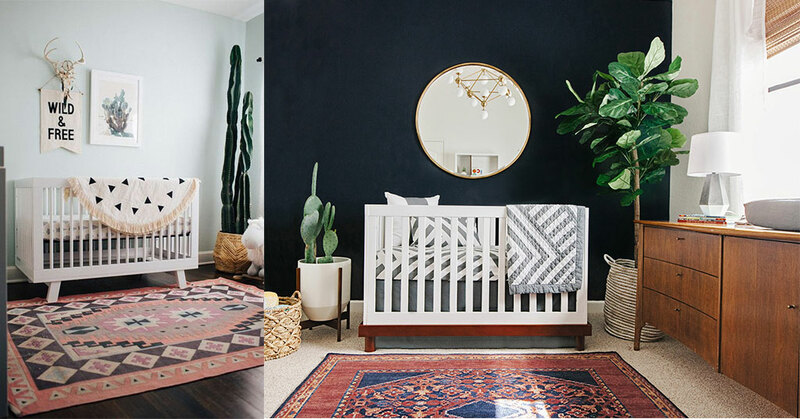 Some of us can just never get into designing a room that is specifically “oh so baby”. 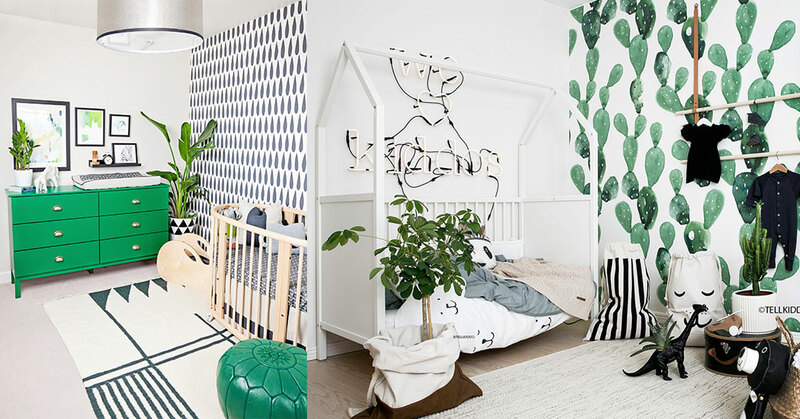 More and more new parents are making their kids rooms into a more grown up space which makes everyone feel at home, whether your apartment is really small and kids spaces are in the lounge or whether you just don’t want vastly different themes throughout your house. Add some gorgeous aztec rugs to complete the look. This year the neutral colour trend is definitely fading into the past when it comes to decor, whilst natural wood accents remain the beautiful complimentary material for colour. We are inspired now more than ever by honesty to materials and wood is always the way to go!